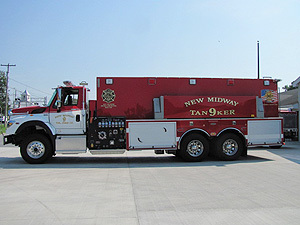 Tanker 9 - 2012 International / 4-Guys 1250 gpm / 3500 gallons of water. 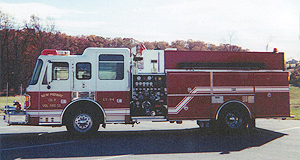 Brush 96 is a 2011 F550 with a Hale 500 GPM pump and a 300 gallon tank with a 10 gallon class A foam cell. 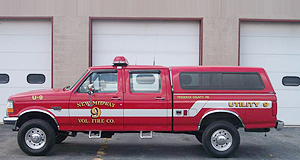 Utility 9 is a 1997 Ford F- 350 it is 4x4 and has a power stroke engine this is our multipurpose vehicle. 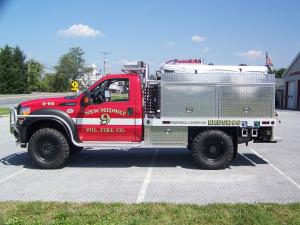 This unit is used as our First Responder unit.